1. 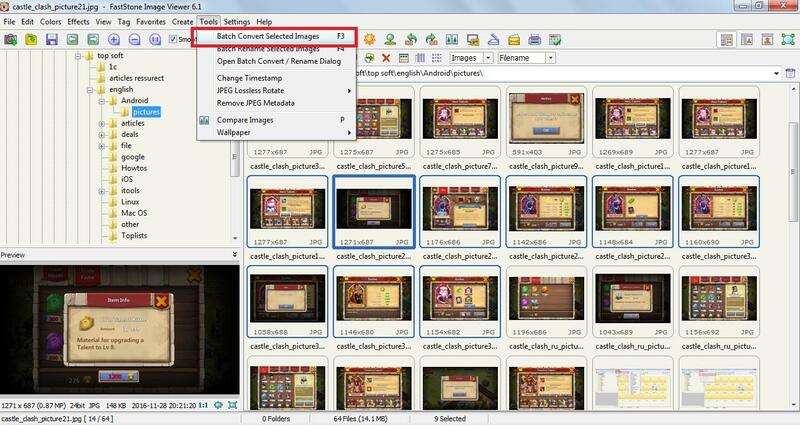 At first, select your images, open Tools → Batch Convert Selected Images (see pic. 1), or press F3. 2. Then choose the output format, output folder, and click on Advanced options (see pic. 2). 3. 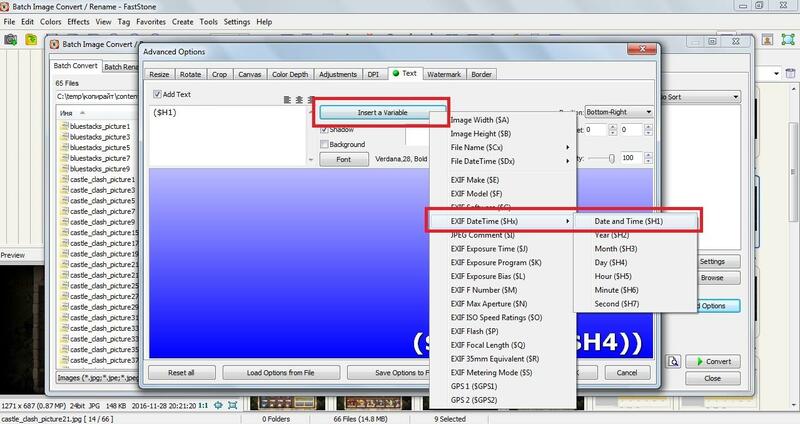 Switch to Text tab → Add Text and click on Insert a Variable → EXIF DateTime ($Hx) → Date and Time (see pic. 3). Remember, that $H1 variable contents date/timestamp. 4. Push Convert button and check your edited photos. 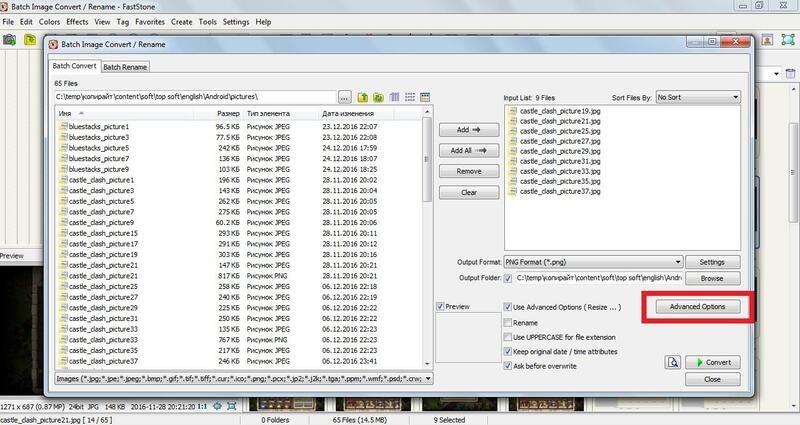 You will get images with date/timestamp.